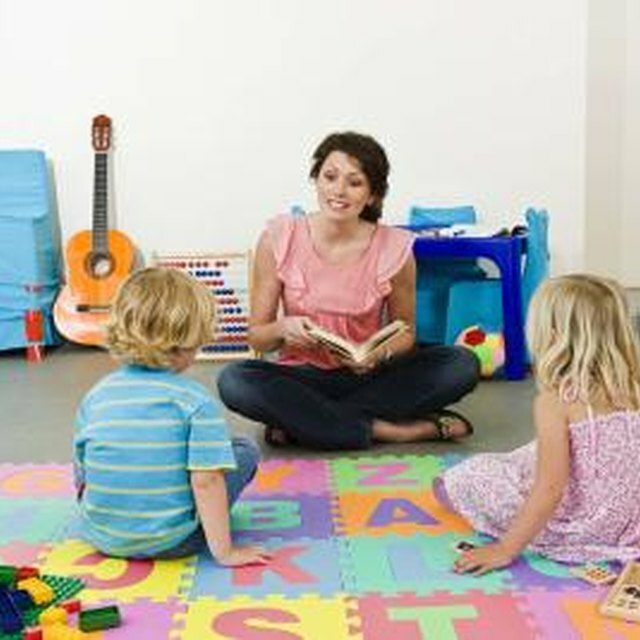 Preschoolers and kindergartens can become phonetically aware before they start reading. With effective screening of at-risk students and identification of reading barriers, educators can intervene on behalf of students and provide instruction to help them reach higher proficiency levels. Methods such as Response to Intervention identify struggling students before they fail so educators can adjust instruction methods to meet the needs of individual students at the lowest level necessary to achieve success, notes a white paper produced by Children’s Progress. Every student should be assessed three times per year -- at the beginning of the school year and during the winter and spring quarters -- suggest authors of "Screening for Reading Problems in Grades 4 Through 12," an article published by the RTI Action Network. Frequent assessment with instruments such as the Iowa Test of Basic Skills, Scholastic Phonics Inventory, The Critical Reading Inventory, Test of Reading Comprehension and similar tests can reveal students who are slipping below grade level performance before they become discouraged by failure. Schools can target those students as at-risk to receive educational support such as small group work, individual instruction or specialized instruction programs. At-risk students should be assessed three to six times per year to determine the effectiveness of intervention and to discover additional reading barriers not previously identified. 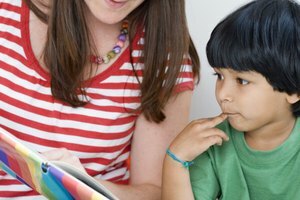 Kindergartners through third-graders need strong reading instruction programs that teach phonics and phonological awareness so pre- and early readers learn to break words into individual sounds, blends, beginnings and rimes, according to the article "Phonological Awareness: Instructional and Assessment Guidelines" on the LD Online website. Teachers can identify students who have difficulty recognizing letter sounds, blending sounds together to make words and segmenting parts of a word to decode it and then implement additional and targeted instruction to improve the child’s skills. Standardized tests such as Test of Phonological Awareness-Kindergarten and Dynamic Indicators of Early Literacy can assist teachers in assessing students suspected to be at-risk. 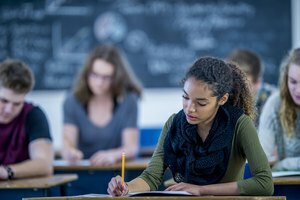 Many schools do not assess every student for reading barriers beyond the third grade, and authors of "Screening for Reading Problems in Grades 4 Through 12" say schools should implement assessment policies for all students and then determine why at-risk students aren’t performing at grade level. Some students may be late-emergent reading disabled because they did well as early readers but are falling behind as reading complexity increases, and some students might not have received the critical instruction in the early grades. These at-risk students can move into literacy programs that encourage progress and provide the necessary instruction to bring skills up to grade level. Students for whom English is not their primary language need a more complex assessment, according to the article “Response to Intervention in Reading for English Language Learners” on the RTI Action Network website. ELLs need to be assessed for literacy skills in their native language and in English. Students with adequate skills in their native language, but not in English, need more targeted English instruction to transfer reading skills to English. Students with low literacy rates in both languages might require bilingual education to increase proficiency in both languages. Frequent monitoring and assessment can determine if the targeted instruction is effective. Rateliff, Kathryn. "Effective Ways to Screen At-Risk Students and Identify Reading Barriers." Synonym, https://classroom.synonym.com/effective-ways-screen-identify-reading-barriers-atrisk-students-12339725.html. Accessed 23 April 2019.